The Fendant and its grape variety the Chasselas, participate for a large part in the image, the identity and the Swiss culture in its broad sense. The Fendant owes its name to a particularity of the ripe berry whose skin and pulp split under the finger without the juice flowing. Unlike the Giclet type whose pulp spurts out. Coming from the Chasselas variety the Fendant is grown everywhere in Valais. It there represents 20% of the total planted grape varieties. Over the last 10 years the average harvest of Chasselas is 13.2 million kg for a production of 10.6 million litres of Fendant. 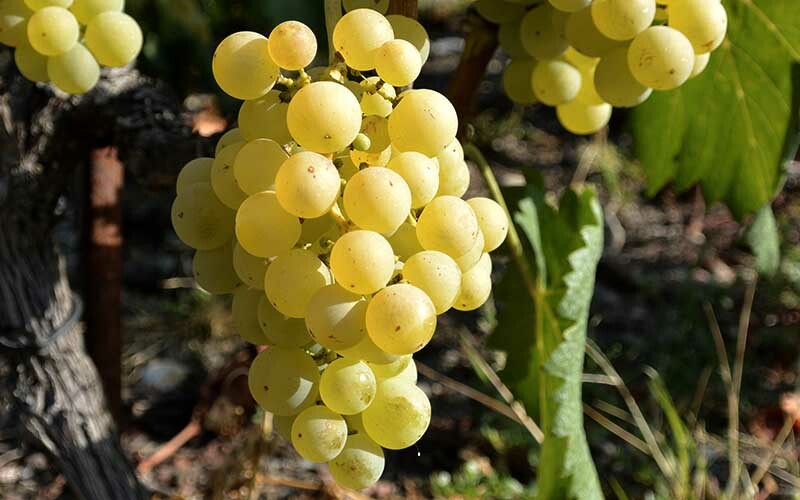 The Chasselas is cultivated as a table grape in most wine countries, in French speaking Switzerland it is prized as an aperitif wine, fresh, fruity and delicate. The Fendant is easy to recognize: copper bud, medium to large and compact cluster, round grains, yellow-green colour, easily turning russet in the sun. The harvest takes place in September and October. 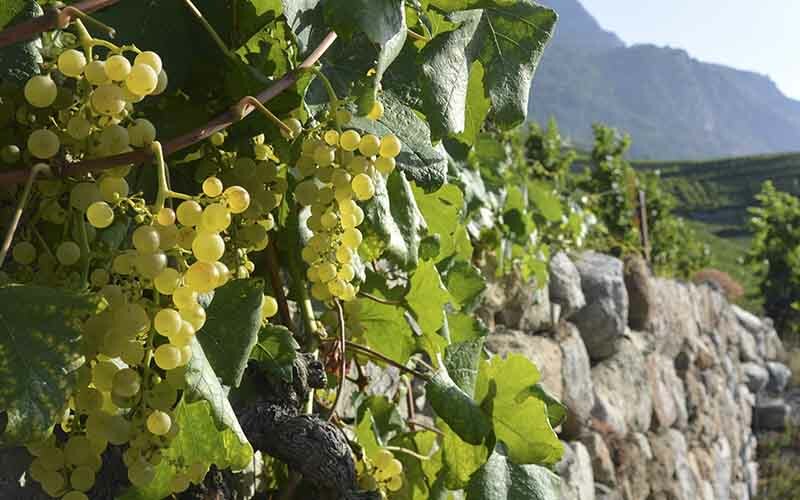 In our climatic conditions the Chasselas provides fruity vintages that represent all the degrees of richness. The qualities of the Fendant are concentrated in the secondary (fermentation) and tertiary (maturity and terroir) aromas. The respect for the terroir during winemaking is therefore paramount. Depending on the regions it can be fruity, floral, typed terroir, slightly sweet. In the great vintages, it adopts honeydew flavours, walnut fragrances and a creamy texture that give it a remarkable personality. 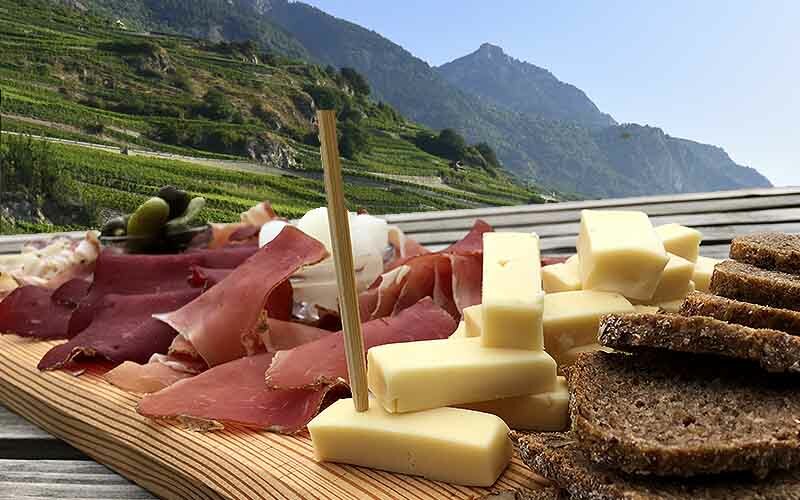 Its first characteristic is an aperitif wine but it perfectly goes with dishes such as: fried or grilled fish, dishes with cheese and of course the traditional raclettes and fondues of Valais.